Taplytics, an innovator in mobile optimization, is one of the first companies to achieve the Amazon Web Services (AWS) Partner Network (APN) Mobile Competency. Taplytics achieved the APN Mobile Competency based on its platform’s technical proficiency, and its proven success helping customers move smarter and faster in today’s highly competitive mobile app marketplace. Run on Amazon Elastic Compute Cloud (Amazon EC2), Taplytics’ platform is unique in the way it tightly integrates mobile A/B testing, personalized push notifications and results-driven analytics to optimize all aspects of a user’s mobile experience. It provides retailers and other businesses with the tools they need to engage users from the moment they download an app, re-engage them over time and improve their app monetization. 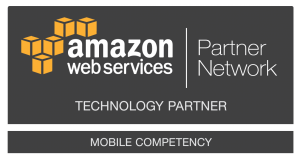 The APN Mobile Competency is designed to provide AWS customers with top-quality APN partners with deep experience working with developers and mobile-first businesses to help them build, test, analyze and monitor their mobile apps. APN Partners who’ve attained the APN Mobile Competency offer a variety of validated services, software and solutions on the AWS Cloud. Taplytics is the leader in mobile optimization, empowering those creating the world’s best apps to optimize their apps and push notifications quickly and easily. Its deeply integrated set of A/B testing and push notification tools enable the entire app team to work together and deliver great experiences to their customers. With Taplytics, marketers, developers and product managers have the tools they need to optimize the mobile experience and maximize the lifetime value of their customers. Taplytics is based in San Francisco, and can be found online at http://www.taplytics.com or on Twitter at @taplytics.